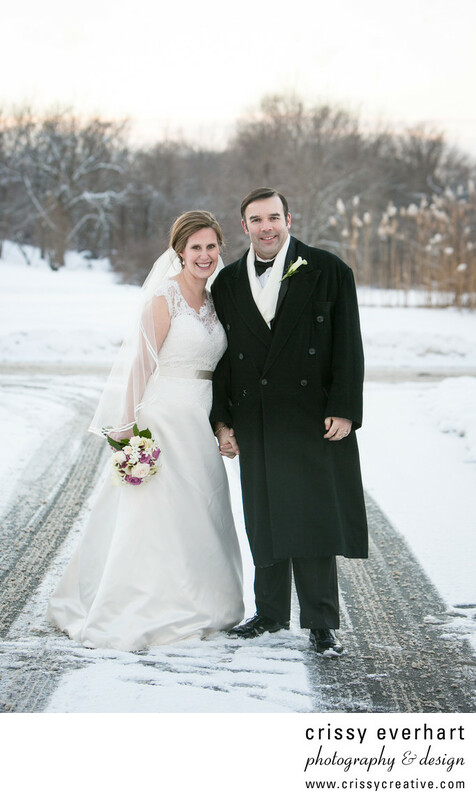 This January wedding at Kimberton Inn has some light snowfall, which made for gorgeous photos of the couple! The groom is in all black and a wool coat, and the bride is a bit chilly in her cap sleeved wedding dress and veil. The groom did give her his jacket in between photos, of course! Some photographers or couples fear rain or snow on their wedding day, but I love it! It can make for some beautiful and unique images. Location: 2105 Kimberton Rd, Kimberton, PA 19442.